Why did you chose to study journalism at Monash? 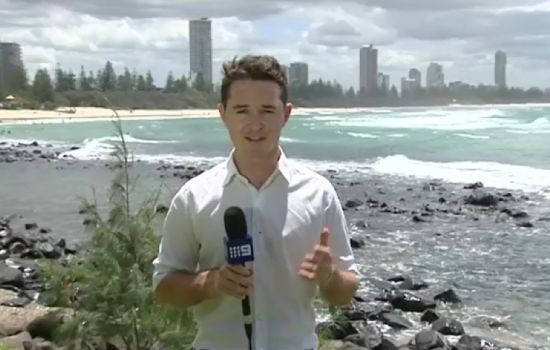 Billy Vickers is now a producer at Channel 9 News. I wasn’t sure what I wanted to study after finishing high school, so I decided to take some time off and work for a year. I got a job at a café, and quickly found myself reading the papers every morning at work and becoming more and more interested in the media. I enrolled to study a Bachelor of Journalism at Monash University the next year. How did Monash help get you to where you are now? Monash’s focus on practical and modern journalism skills helped me to suceed in my career. The journalism department’s focus on educating students to source, write and produce stories for print, TV and digital mediums enabled me to transition into the media industry easilly. I also found the insights from lecturers who had worked in the industry helped me gain an understanding of how the media really worked. I’ll always remember setting up my camera to shoot my own interviews and piece to cameras for video stories. It was challenging at the time, but it’s funny to think my journey in TV news started there on the streets of Melbourne. What advice would you give your first-year Uni self? Take advantage of your lecturers industry knowledge as much as you can. Have confidence in your ability to find a good story and tell it well. What did you wish you knew before going out into the workforce? I wish I knew more about the culture of newsrooms before starting my job. I’ve had great guidance from news directors throughout my time with Channel 9 in Melbourne and Brisbane. Since coming to Brisbane, I’ve learnt a great deal about story writing and audience targeting from 9 News Brisbane’s current executive producer Cullen Robinson. My old Monash lecturer Matt Mitchell also helped me greatly with any questions or concerns I had when starting in the industry. I would love to go overseas and work for a TV network in a major city like London or New York. My first position was working in the News Library at 9 News Melbourne. I would type out the previous night’s stories and restore tapes for the newsroom. Professional skateboarder or footy player.